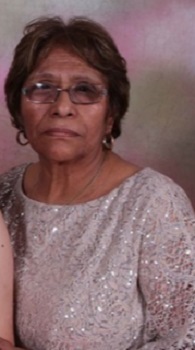 Maria Vargas nee Ayala, 69. Beloved wife of Miguel Vargas. Survived by her loving children, grandchildren and great grandchildren. Visitation will be Monday from 4 till 8pm at the M.J. Suerth Funeral Home, 6754 N Northwest Hwy. ( Rand Road) Chicago. Friends and Family will meet Tuesday 10:45am at St Joseph the Worker Parish for Mass at 11:00am. Interment will follow at All Saints Cemetery.